Probiotic supplementation is currently a growing trend within modern society. This increasing consumer demand has resulted in the dramatic growth of the probiotic market and of research in this field. However, there are several pitfalls associated with this field of research that are currently hindering the production of clinically effective probiotics. Improvements in the (i) manufacturing of probiotics and (ii) production and handling methods for probiotic bacteria and yeast are continuously under development. However, modifications to the probiotic strains during the industrial processes are known to impact on the efficacy, safety and mode-of-action of these biological agents in vivo and can thereby, negatively impact on the validity and reproducibility of the original associated research findings. 1. How can one validate a probiotic product when modifications to the product occur during production? 2. How can one decide if pre-clinical and/or clinical studies should be redone following manufacturing? 3. Some probiotic preparations have shown safety and efficacy in immune-compromised patient cohorts including premature newborns, HIV-infected individuals and patients affected by Inflammatory Bowel Diseases (IBD). Will these populations be posed at risk if the product is manufactured differently? 4. 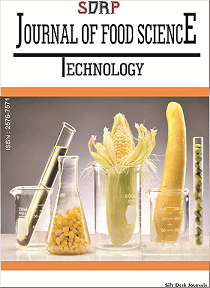 How do alterations in probiotic growth media; production methods; harvesting and preservation affect the probiotic characteristics of bacterial strains and should these alterations also be considered in quality control? Our knowledge of the effects of manufacturing processes on probiotics and associated issues and implications remain largely unknown. Therefore, in this Research Topic we aim to gather experience from immunology, microbiology, biochemistry experts, as well as from veterinarians and medical experts, to clarify when production changes to commercial probiotics products trigger the obligation to reassess safety and efficacy. • Is genetic testing sufficient to establish that manufacturing changes do not compromise the probiotic properties of the bacterial strains? • Which tests provide insight into functional equivalence of probiotics when comparing pre- and post-changes? • Do changed environmental conditions affect the probiotic characteristics of the bacterial strains? • Do production changes of probiotics affect different epithelial and immune cell types? • Do production changes of probiotics affect the local and systemic anti-infective responses? •Do changes in probiotic production affect, gut barrier function, enzyme production and ROS levels in human and animals? • Do changes in probiotic production affect safety and efficacy in humans and animals ?